The objects in this collection were donated to UC Davis by Edward M. Nagel in 1969. Edward had an early fascination with art, antiquity, and material culture from the heirlooms and antiques passed down through his family in Wuppertal, Germany. He immigrated to New York in 1926, where he worked as a coder and decoder in Wall Street, and later moved to Los Angeles following the stock market crash in 1929. Throughout his successful business career, which gave rise to the Oroweat Baking Company, Edward would visit museums, galleries, and antique stores and was an admirer, collector, and patron of art, particularly ethnographic art. 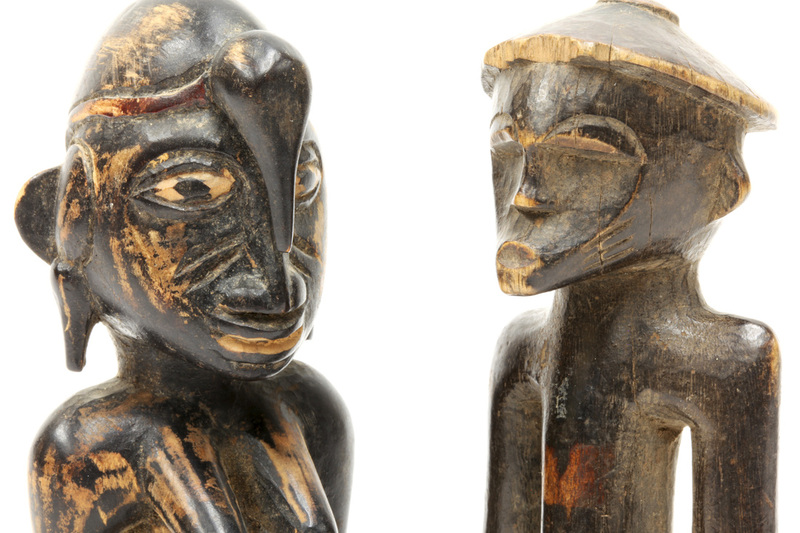 When it comes to the collection of material culture, the division between art and anthropology is not always clear. This intellectual eddying is exemplified by the fact that Dr. Daniel Crowley was chair of both the Art and Anthropology Departments at the time of the donation. The collection was partitioned between the two departments. For instance, Chinese ceramics went to Art, while African bronzes and wood sculpture went to Anthropology. The division of the artifacts, like the division in the disciplines, reflects the varying associations and intellectual history built around our understanding of objects, as well as the faculty of the departments to house, maintain, and display them. Showcased here are some of the artifacts donated by Edward Nagel that are curated by the Department of Anthropology Museum at UC Davis. Whether appreciated for their intrinsic form or for the peoples and places they represent, the fact that these artifacts were collected and appreciated by a man of his times is, itself, anthropological. The Senufo society is one of contrast - between men and women, farmers and artisans, public and secret society. In Senufo culture, farmers make the predominant social class, with artisans and musicians living among the farming villages, with their own class-specific economies, magics, and sometimes even dialects. Men and women lived partially separated lives in gender-specific secret societies, the ​poro and sandogo, coming together, each with their own contributions necessary for ceremony and balance. Edward M. Nagel had a lifelong interest in world art. He served as a commissioner of the Asian Art Museum of San Francisco and liberally donated to many museums and institutions from his collection. In 1992, his eponymous foundation was founded, providing funding to universities to grant scholarships to disadvantaged students majoring in business and related fields, including the business aspects of art programs. For more information visit the Edward M. Nagel Foundation page.